Burn Design Lab (BDL), located in Vashon, Washington, with a mission to improve the lives and the environment through research, design, and development of outstanding cook stoves and fuels, developed a working partnership with Hands for Peacemaking Foundation (HFPF) in 2016. BDL and HFPF partnered to redesign and improve the small plancha stove being manufactured at the Aller Skill Center in Barillas, Guatemala. This redesign resulted in improved efficiency, better heating and reduced fuel consumption. The findings from the redesign are going to be implemented in the manufacturing of the mid- and large-size stoves that HFPF builds. This partnership will help HFPF continue to grow and expand their operations in Guatemala. Today there are over 2.1 million households, located mostly in the poorest and most vulnerable municipalities of the country that use firewood. HFPF, through partnerships with villages and the generosity of North American teams, provides clean, efficient wood cook stoves. In 2018 four villages benefited from the partnership. Centinela Chiquito and neighboring San Pedro Centinela are located 27 miles from Barillas. It takes two hours to get to the village of 100 families and around 600 inhabitants. The village of Centinela Chiquito had a request for 100 stoves. 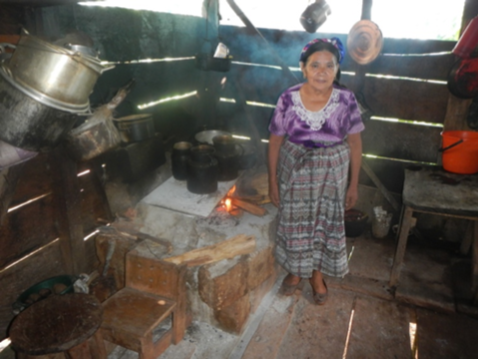 The village of San Pedro Centinela requested stoves for their community as well. This year the Alger/Means Team installed 100 of the BDL-HFPF redesigned stoves in Centinela Chiquito and 15 in the village of San Pedro Centinela. Buena Vista is located nine miles from Barillas and it takes 45 minutes to get to the village in 4 X 4 vehicles. There are 50 families and around 325 inhabitants. The neighboring Ojo de Agua has 35 families with around 321 inhabitants. The Marysville Free Methodist Team installed the BDL-HFPF stoves in both villages this past summer. Buena Vista received 35 stoves and Ojo de Agua received 30.